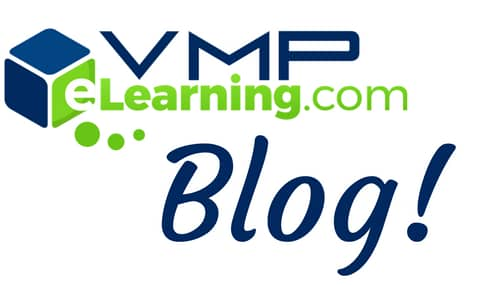 VMP eLearning looks at the science behind mistake-led eLearning, and why there’s no better teacher than a mistake. Despite what your primary school memories of red crosses and Responsible Thinking Rooms might suggest, making mistakes is far from an issue in the workplace – in fact, mistake-making is actually an integral part of the learning process. Mistake-led or ‘active’ learning, the process of making mistakes and working constructively to understand them during training, enables learners to retain the solution to a problem better than if they had simply memorized it. Like touching a hot stove or biting into a candle that smells a little too convincingly of salted caramel, it only takes one mistake to learn to employ caution well into the future. Don’t just take our word for it: according to Danish physicist Niels Bohr, “An expert is a person who has made all the mistakes that can be made in a very narrow field”. Such an important step in the learning process, it’s no surprise that mistake-led learning requires a specialised environment to be carried out successfully. Imagine, for instance, the issues that would arise from mistakes made in high-risk industries, like the pharmaceutical or mining sectors, where lives are on the line. For these industries, proper processes and compliance could literally be the difference between life and death. The rise of eLearning has been ground-breaking in providing organisations with exactly this kind of learning environment. Risk-free, adaptable, and solution-oriented, online learning courses present safe environments for students to learn from mistakes without the consequences of real-life scenarios. With the ability to engage in mistake-led learning, your students will be able to retain their training more effectively, focus more easily on critical concepts in the workplace, and undertake continuous improvement. Even more attractive to the executives among us, allowing your students to make mistakes safely during the learning process means they are less likely to happen down the line. We all make mistakes. Resistance is futile. Mistake-led learning leads to solution-oriented thinking – that is, allowing your students to learn from their mistakes enables them to reflect on past experience when considering situations in the workplace. Not only will your staff be prepared to deal with problems as they arise but will be able to improve workplace practices, client satisfaction and your bottom line by successfully working through them. Of the plethora of benefits mistake-led eLearning offers to any organisation, we’ll look at the two most notable. eLearning’s risk-free environment is the ideal setting for mistake-led learning. By safely giving your learners the chance to explore the consequences of their actions, they’re given the rare opportunity to take risks that they would otherwise not in a real-life situation. With the freedom to experiment, your learners will have the space for innovation and creativity that leads to personal and professional growth. Rather than being spoon-fed information, mistake-led eLearning encourages your learners to use their critical thinking and problem-solving skills. This method of learning acts like a recipe for effective training: a cup of making informed decisions and a tablespoon of understanding alternate outcomes creates the delicious end product of practical solutions. The icing on the cake (pun intended), is that any mistakes made can immediately be viewed as opportunities to learn – not reasons to go into a disaster-relief mode. Diana Laufenberg shares her insights into mistake-led learning at a TEDX Mid-Atlantic Talk. Traditional learning without opportunities for interaction and mistake-making (sometimes known as ‘Death By Powerpoint’) will inevitably bore your learners. Interactive, mistake-led eLearning allows your staff to immerse themselves in the training, formulating their own solutions and applying skills critical to the workplace. In short, this makes for more effective learning. There are a number of design methods you can take advantage of to “mistake-ify” your eLearning and boost your learners’ knowledge retention and comprehension. First, you can utilise the ‘Rewards Factor’. Much like the humble parrot, we humans are easily motivated by the promise of a reward. By adding a gamified or rewards-based element to your eLearning course, you can encourage your learners to overcome mistakes and consider alternate solutions in search of their cracker (read our blog on the Benefits of Gamified E-Learning). Alternatively, you can utilise peer-to-peer learning. We’re sociable creatures, and perhaps the only thing more valuable than learning from our own mistakes is learning from the mistakes of others. By incorporating cooperative elements into your training modules, you open your learners up to angles that they may not have considered – as well as insight and encouragement in the face of the initial mistake-making frustration. One of the most important and widely-used methods of implementing mistake-led learning, however, is feedback. Feedback on mistakes during any kind of learning immediately creates a more effective and informative learning environment. It allows learners to understand their mistakes as they occur, as well as, the direct consequences of the mistake, instead of after the moment of need has passed (as sometimes happens in real-life situations). Feedback aids your learners to form solutions themselves, in turn absorbing the information more thoroughly and committing it to their long-term memory. If the eLearning process is memorable, so too will be the eLearning content. Here at VMP eLearning, some of us have PhD’s in Science of Education. Others like to wax philosophical using gifs of Bart Simpson. eLearning solutions provide any industry with a supportive learning environment that allows mistake-led learning and trains staff effectively. By allowing learners to not only observe but experiment and interact, they are given greater freedom to take the consequence-free risks that lead to professional growth, retained knowledge and better workplace practices. Put simply, mistakes in the learning process are not mistakes at all but chances to expand our educational potential. On behalf of all of us at VMP eLearning, we wish you a career of mistakes.